Anime USA welcomes back one of our educational guests, Robert V. Aldrich! Robert V Aldrich is an author and speaker based out of Chapel Hill, North Carolina. His writing is heavily influenced by anime, video games, and other geekery, as is his speaking. He’s written numerous sci-fi/fantasy novels and for numerous periodicals. He’s returning to AUSA to promote his newest book RocKaiju. Outside of writing and convention-speaking, he’s a public health analyst and martial arts instructor. Please join us in welcoming one of our cosplay guests, Kass McGann! 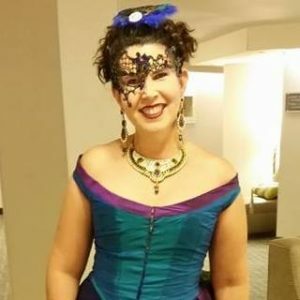 Costume Historian Kass McGann — a.k.a. “The Internationally Renown Being of Sweetness and Light™” — cannot wait for her third visit to Anime USA to share her knowledge of historical costuming and Japanese culture with the otaku. After living on a Caribbean island for three years, Kass has one focus: wearing more clothes! Come learn about everything from the more obscure bits of Japanese costume history to Steampunk splendor, fabrics, colors, hats, hairdressing, accessories, the lot. Let’s see just how many outfits a person can stuff into a weekend when she doesn’t have to worry about an airline luggage restriction, shall we? In the meantime, you can follow her costume construction progress at http://reconstructinghistory.com. Please join us in welcoming one of our musical guests, DJ Logicoma! From the undulating sac of a metropolis that is Baltimore City came Logicoma. DJ, producer, geek, and sad boy. He began producing and spinning music at the tender age of 14, blending together electronic, trap, hip-hop, and chill-wave to create something new and exciting. Logicoma draws inspiration from anime, bass music, and Japanese culture. Jacob Marley is a musician and visual artist from Baltimore. Audibly inspired by weather and all things comprising his environment, and visually inspired by fashion; Jacob is an up and coming fashion designer and illustrator. A member of the Llamadon collective Jacob has helped organize and book shows in the Baltimore area, as well as play countless himself. 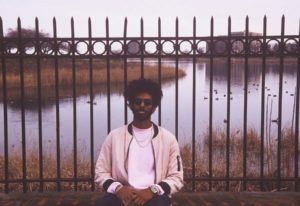 After his first national tour in 2015 with Baltimore acts Elon + Chiffon, Jacob looks to take that road knowledge into planning more tours this year. 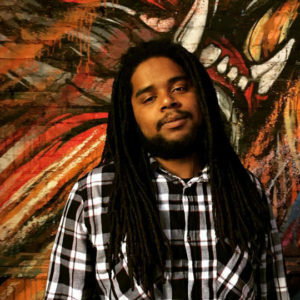 With a building name Jacob is known for frequent collaborations with artists Elon, Boogie Madison, and AlienNood420, as well as contributions to Basement Radio. Please join us in welcoming one of our educational guests, Daniel Tsang! Daniel Tsang is known throughout the con scene as Lodestar. Lodestar is a true Sagittarius: he’s an adventurer with a carefree heart and a biting sense of humor. If he was a fantasy character, he would be the unforgettable bohemian rogue that radiates charisma and has schemes for days. In his free time, Lodestar enjoys shounen anime, JRPGs, MOBAs, and RTS games, as well as low budget comedy films. He also enjoys physical activities such as yoga, zumba, barre, and cycling. Lodestar has danced as a featured soloist in various troupes, spun on color/winterguard teams, and worked as a choreographer and coach for many different performances. Lodestar has a Bachelor of Arts in Psychology with minors in Dance and English with a concentration in Fiction Writing. He is also currently working on his Masters of Education in Counselor Education. His ultimate goal is to become a nationally certified counselor so that he can let his iconic nature impact the world on a greater scale. After being a panelist and guest speaker for different events and organizations, including AUSA and MAGfest, Lodestar decided to found his own paneling organization called Reframe. Reframe debuts at Anime USA this year! His panels focus on diversity and inclusivity, the world of magick and its tools, writing in its varied forms, and numerous video games. Follow him at facebook.com/lodestarcosplay, instagram @lodestarslagoon, or via lodestarslagoon.tumblr.com. Reframe can be found at facebook.com/reframecons or @reframecons on Twitter. 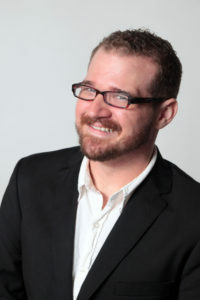 Please join us in welcoming Josh Grelle! 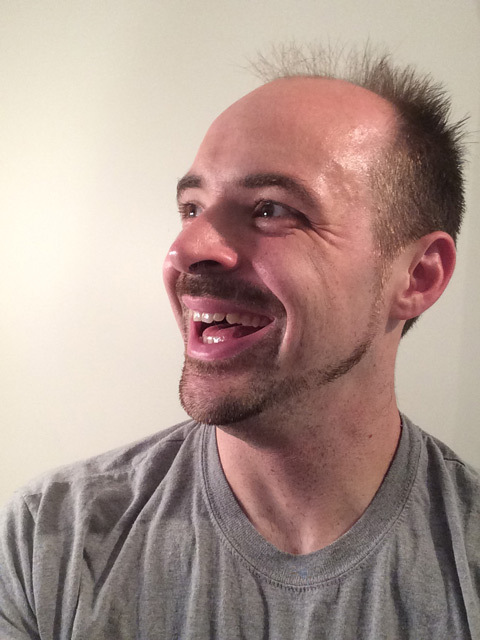 A native Texan and avid anime fan, Josh Grelle has been working in voice work for over 10 years. After starting with ADV Films in January 2004, Josh was quickly bombarded with tons of in-booth experience on a wide range of shows, including Wedding Peach, Steam Detectives, 009-1, and the legendary Gatchaman. He began working for FUNimation Entertainment in 2006. Since then, he has starred in numerous titles; his most famous being Kenichi in Kenichi: The Mightiest Disciple. Other roles include Armin in Attack on Titan, Kyohei in the Wallflower, Kouichi in Linebarrels of Iron, Yuki in Future Diary, Itsuki in Initial D, and Kuranosuke in Princess Jellyfish. More recent roles include Chow from Starship Troopers: Invasion, Nicky in Mass Effect: Paragon Lost, Kazuya Aoi in Freezing, Yuji Sakai in Shakugan no Shana, Akihisa Yoshii in Baka and Test, and Komatsu in Toriko. Aside from anime, Josh has lent his voice to a number of video games, including Sima Shi in Dynasty Warriors 7, Xbalanque in Smite, Dave in Borderlands 2, and the voice of the “energetic” custom character in Dragonball Z: Ultimate Tenkaichi. Josh is represented by The Mary Collins Agency. Please join us in welcoming E. Jason Liebrecht! 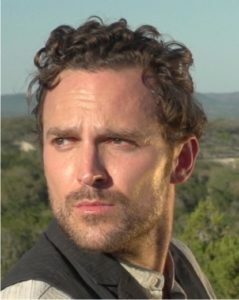 E. (Ernesto) Jason Liebrecht has been working as an actor & performing artist based in Austin, TX for over a decade. As a voice actor, he has voiced quite a range of characters; some favorites include (but are not limited to): Yato in Noragami, Dr. John Watson in Empire of Corpses, Heath in Prince of Stride, Jack the Ripper in Nobunagun, Souhei in Wolf Children, Takizawa in Eden of the East, Hei/The Black Reaper in Darker Than Black, Principal Ench in Shin Chan, Lavi & Millenium Earl in D. Gray-man, John Brown in Ghost Hunt, Train in Black Cat, Vetti in Glass Fleet, Luck in Baccano!, Syaoran in Tsubasa, Jeice in Dragon Ball Z Kai, Lucci in One Piece & Finnian in Black Butler. commissioned piece, Stop Hitting Yourself, in NYC & in Austin as the titular character in their profane adaptation, Fixing King John. 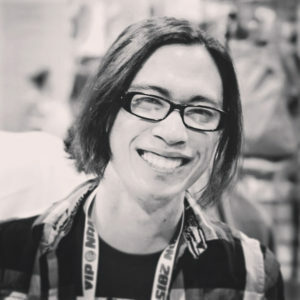 Please join us in welcoming one of our special guests, Micah Solusod! 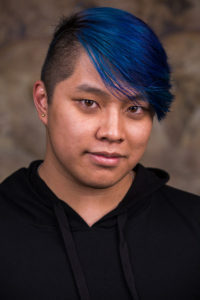 Despite his general inability to fly, Micah Solusod is a professional voice actor and illustrator. The rapscallion made his anime debut as Malek Werner in Blassreiter and is best known for his role as Soul Evans in Soul Eater. He has shown up in a number of other FUNimation titles as Toma Kamijo in A Certain Magical Index, Yuichiro Hyakuya in Seraph of the End, Yukine in Noragami, Midnight in Fairy Tail, teen Coby in One Piece, Tagoma in Dragonball Z: Resurrection ‘F’, Mizuki in Kamisama Kiss,older Ame in Wolf Children, Black in Blood Blockade Battlefront, Bea in Space Dandy, Seido Takizawa in Tokyo Ghoul, and most recently, Nikolai Krasotkin in the Project Itoh film, The Empire of Corpses! Currently, he can be heard in FUNimation’s Broadcast Dubs as Gakushu Asano inAssassination Classroom and Ayumu Kadowaki in Prince of Stride: Alternative. It’s likely he’s done more but who’s counting? When he’s not busy posting unhelpful voice acting tips on Twitter, Micah works as the lead artist for Painapple Studio. Please join us in welcoming one of our musical guests, Psyche Corporation! Psyche Corporation is a fairytale cyber/steampunk band fronted by a former Ladies of Steampunk model and programmer who has toured nation-wide, enthralling audiences with her catchy dance moves and haunting vocals. The band is named after a dream manufacture group from a future where neural implants allow people to download dreams from the Internet. Songs deal in dystopian themes as well as more lighthearted filk works, such as “Perl-Operated Boy”. The musical style spans genres of trip-hop, electro-rock, and world music. Please join us in welcoming one of our special guests, Alexis Tipton! Alexis Tipton has been working in the dubbing industry since 2008 and has loved every minute of it. She can be heard in over 150 titles so far with more announcements on the way. Most notably, she was recently announced as the new voice of Merle for the FUNimation redub of The Vision of Escaflowne. Some of her other DVD/FUNimation Broadcast dub credits include Haru Ichinose (Riddle Story of Devil), Chu Chu (Show by Rock! ), Hana Midorikawa (Prison School), Honey (Space Dandy), Maria (Maria The Virgin Witch), Kureha Tsubaki (Yurikuma Arashi), Kofuku (Noragami), Anya Hepburn (Soul Eater NOT! ), Saya Kisaragi (Blood C/The Last Dark), Inori Yuzuriha/Mana Ouma (Guilty Crown), Rika Shiguma (Haganai), Kurumi Tokisaki (Date A Live), Julia Crichton (FMA: The Sacred Star of Milos), Moka Akashiya (Rosario+Vampire), Musubi (Sekirei), Mizuki Himeji (Baka and Test), Fukurou (One Piece), Yomi Isayama (Ga-Rei: Zero), Sun Seto (My Bride is a Mermaid), Chibi Japan/Kumajiro (Hetalia), and many more (full list of credits can be found on Anime News Network). On top of anime dub work, her voice can also be heard in a handful of video games including Tales of Zestiria (Alisha), Lord of Magna: Maiden Heaven (Beatrix and Sarine), DBZ Xenoverse (Gotenks-Trunks), Borderlands 2, and more. She can also be heard in several foreign live action film dubs (Ip Man, War of the Arrows, Tai Chi Zero/Hero, Ice Man, and more). She has also provided vocals for various character songs and a few of FUNimation’s trailers. She has been a stage actress most of her life and is currently studying opera and film. She resides in Dallas, Texas but also works in Los Angeles, California. Follow Alexis on Twitter @AlexisTiptonVA. © 2004–2015 Anime USA. All rights reserved. Anime USA is a 501(c)(3) organization.